Kumi Yama is a unique event that launches the summer ski season in Les 2 Alpes with three days of events from 5 to 7 July 2013 during which the resort’ glacier snowpark hosts 250 riders: pro, non-pro and kids, coming from all over the world. Participants compete in team of three in a slopestyle and especially for the occasion, the snowpark is decorated in a Japanese style – it is a spectacular show in a great Japanese atmosphere! Along with the main contest, there’s a special contest for kids from 9 to 14 years old, as well as a photo competition for photographers. 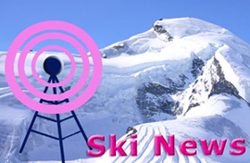 Les 2 Alpes claims to operate Europe’s largest skiable glacier with over 100 hectares of slopes between 3,600 metres and 2,900 metres and Ski clubs from all over Europe come to train in the summer.